Three keywords, which manage the range of services offered. 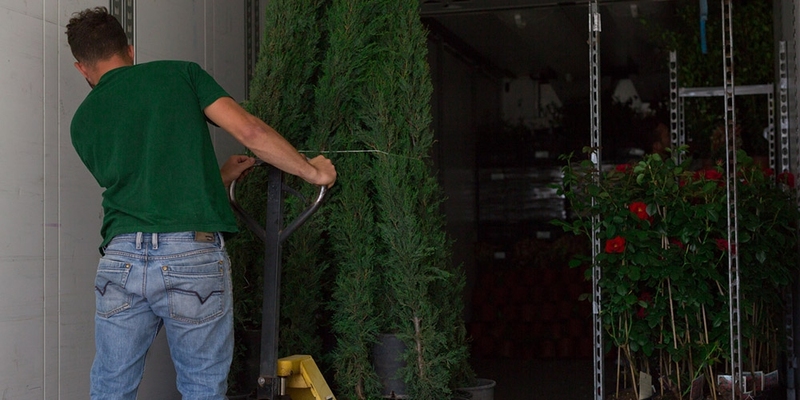 The wide availability of plant products makes available to our customers a wide selection, even on a few trolleys. 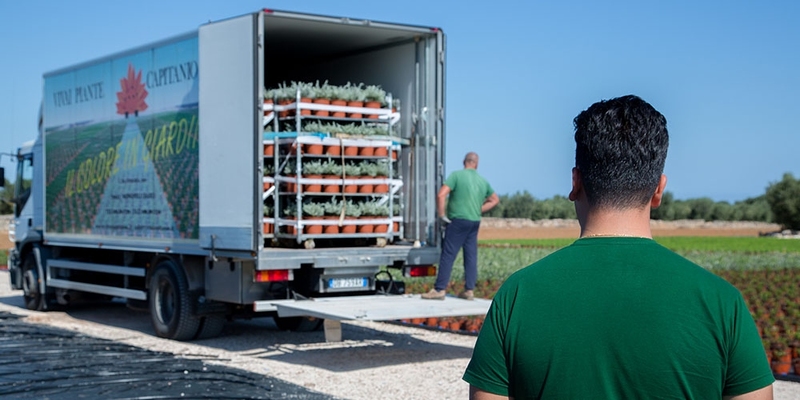 The choice of specialized carriers for our deliveries is based on long-term collaboration; that is why we consider them like “business partners”. Collection and packaging of trolleys are accurate and well planned: in this way customer can always receive a fresh product without ordering large amounts of a single article. Labelling with the botanical name is always guaranteed, while customers requesting plant products with barcode and selling price is fully implemented. The arrangement of trolleys is always optimized and proportionate to the amount in order to ensure an excellent transport service. It's the company's business card. 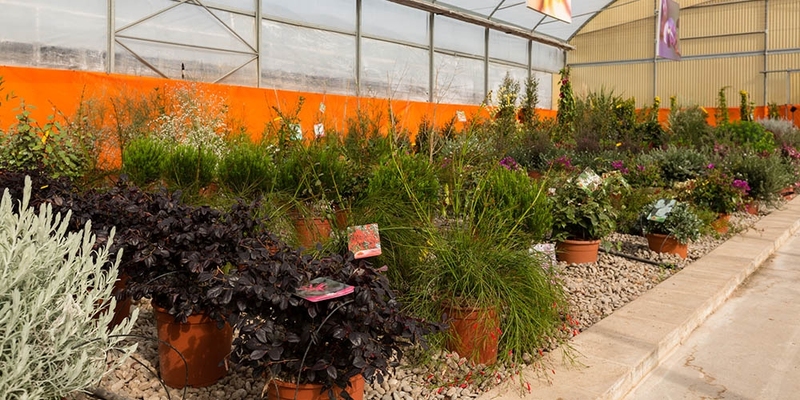 Depending on the flowering period and the availability, the showroom is "collected" with all the CAPITANIO production so that it offers the best of the range at a glance for both professional and final consumers. 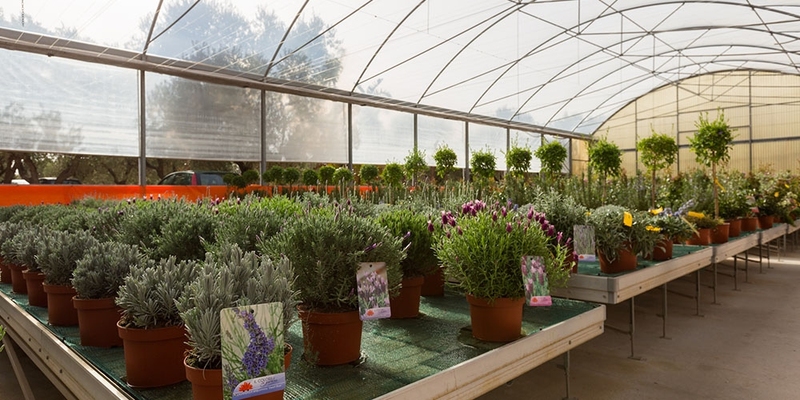 In our Nurseries you can also schedule your order and plan the cultivation of specific plants in large quantities. We are talking about commissions that require a greater and specific cultivation time both for species research and for different delivery times to be respected. 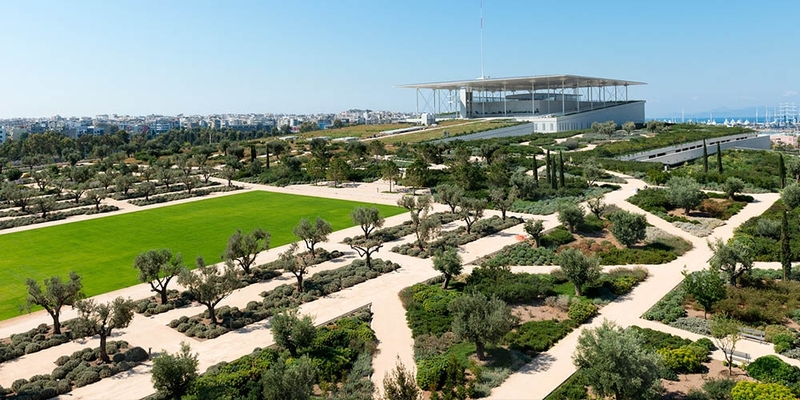 An emblematic example is the realization of a part of the park of STAVROS NIARCHOS FOUNDATION CULTURAL CENTER in Athens. 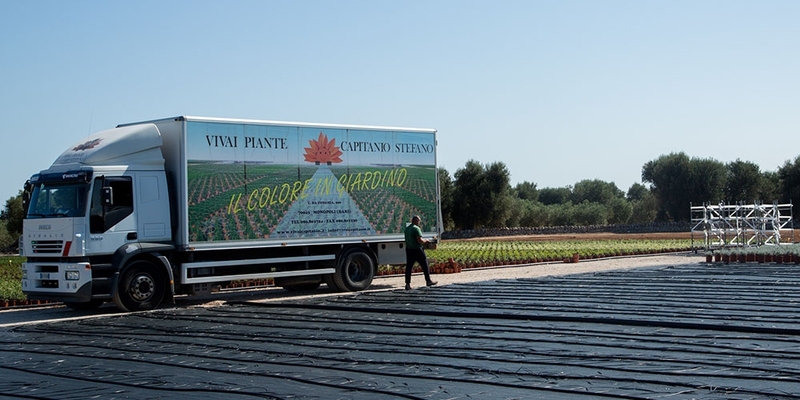 The floricultural contribution made to this project has been the reason for our company of profound pride, both for the wide range of articles in production and for contracted and bureaucratic aspects handled. 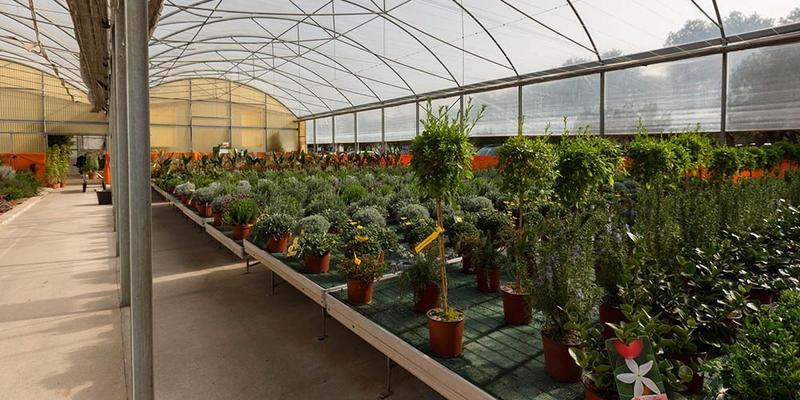 The program envisaged the production of approximately 48,000 plants mostly in bushes, upholstery and climbing plants (in addition to trees, bulbs and grasses) in cultivation vessels of 3, 9, 18, 30 liters. 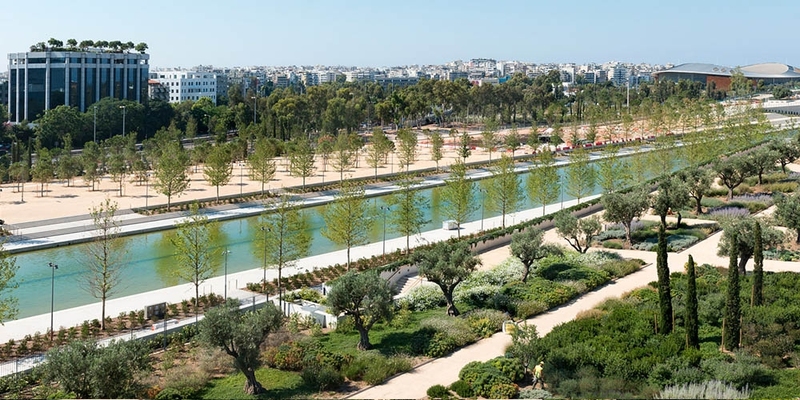 Additionally, about 20,000 plants in 7x7 cm were added to the project, placing our company among the very few non-Greek suppliers selected for the whole work. 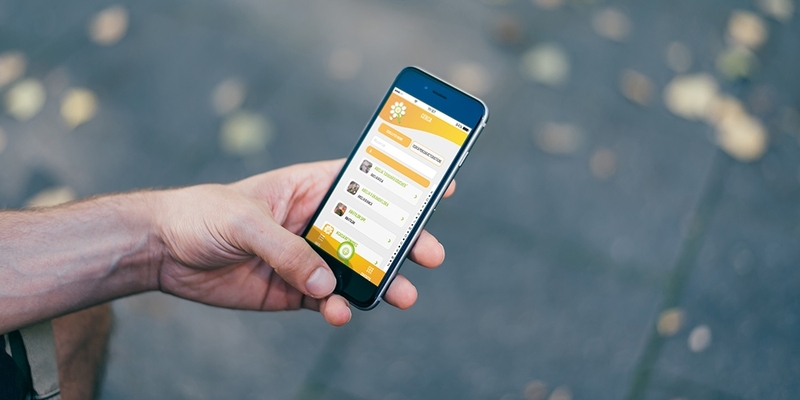 Weplant is a free and unique APP that makes it easy and fun to know and choose the plant that best suits your needs: it is possible to search for blooming color rather than for shape or exposure.